This adorable felt ball garland is made with alternating cream, red, scarlet, mustard, green, aqua, and brown and will add a vibrant dash of color to your home or party. Beautiful! Can’t wait to use it! Cute garland! 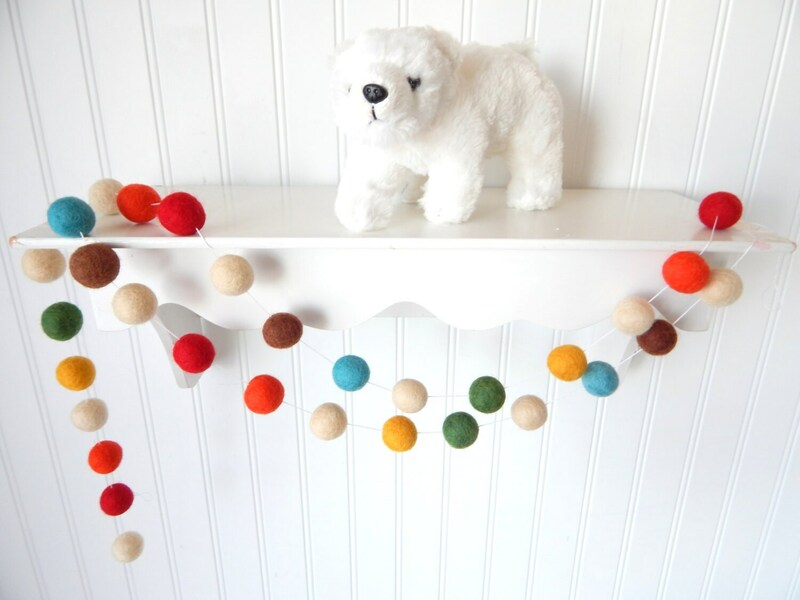 Looks great hanging from shelves in the baby's room for a little pop of color. This is perfect in our children's play area under the stairs. They love it and it gives it a super fun and colorful touch!